Melba Swintex offer trade moulding services in Blow Moulding, Rotational Moulding, and Injection/Intrusion Moulding. 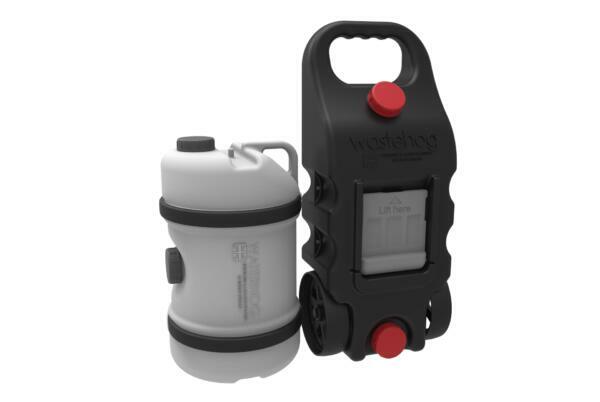 A recent project with a UK Leisure Group has consisted of two tools being commissioned to produce the popular WaterHog & WasteHog products used within the Camping, Caravanning, & Leisure market. These two products are currently manufactured and imported from China, for distribution within the UK. Melba Swintex are excited to work on this project to re-shore in conjunction with the UK distributor Leisurewize. The new UK Tooling has been developed and production is currently underway. Melba Swintex primarily specialise in the manufacturing of Temporary Traffic Management Systems within the plastics industry. They have a wealth of experience in design and manufacture, and work alongside their customers to provide customised products for industry. Melba Swintex work in partnership with their distributors in the UK and throughout the rest of the world. As with most progressive companies, they have a solid commitment to the environment, and 90% of their product range is produced from recycled material. All of their products are manufactured to UK and International standards.